What’s the first thing your kids say when you tell them you’re going on a vacation to Orlando? On this trip, we had the intention of lying poolside for a week with 20 friends in our luxury villa. I didn’t want to walk outside the front door, especially after spending 10 days at Disneyland in Anaheim the week before. 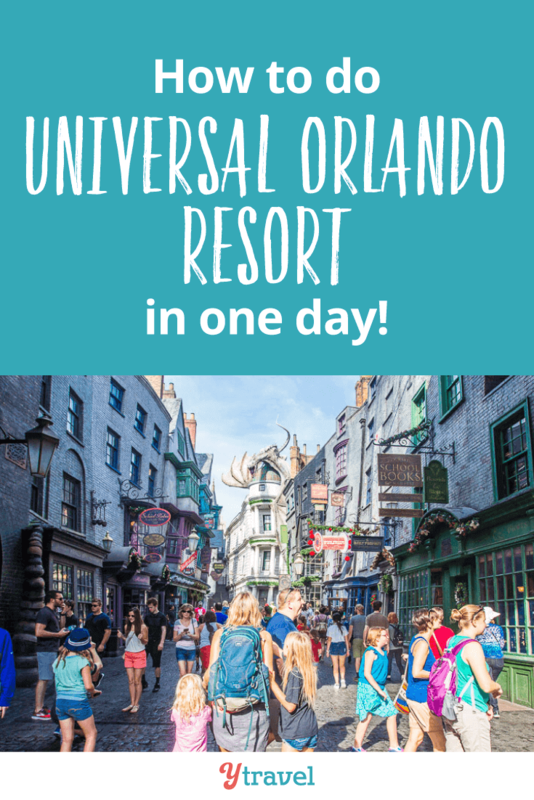 Well you know that kids rule, and so after packing their bags, I reluctantly agreed to give them one day only at Universal in a partnership with KKday. 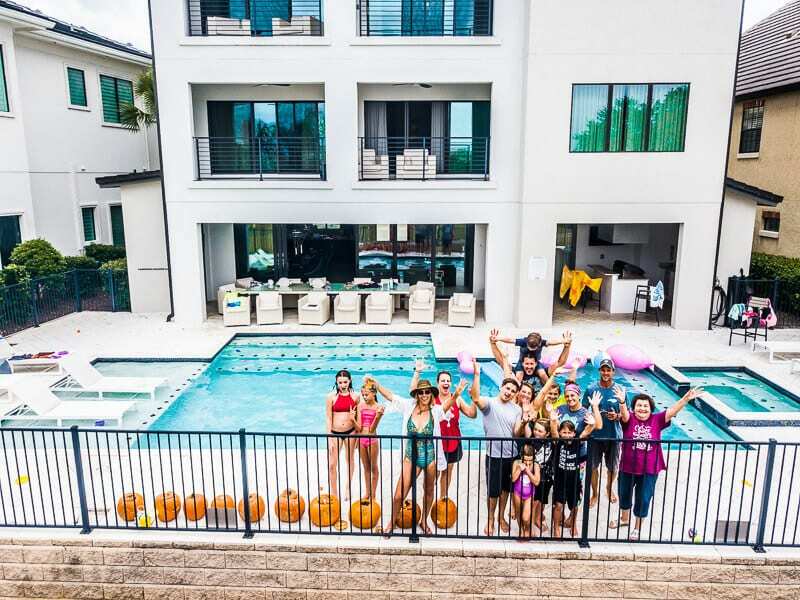 KKday is a leading e-commerce travel platform that connects travelers with authentic local tours & activities, including tickets to Universal Orlando. You can get your 1 or 2 day Universal Orlando tickets, or Park Hoppers here. You can also find tickets to Universal Studios Hollywood and Orlando Walt Disney World! 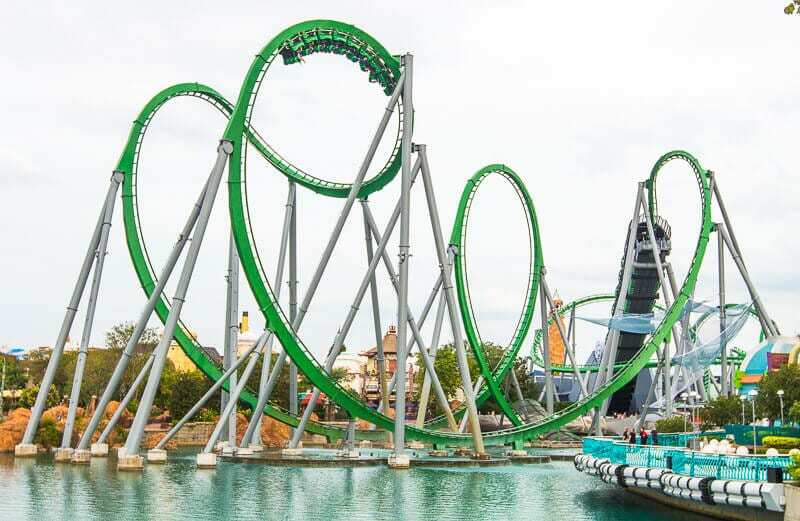 To be honest, I love Universal Studios Orlando, especially because of The Wizarding World of Harry Potter and The Hulk roller coaster. So I was happy to dedicate one day at Universal Studios Florida. We decided to get a park hopper ticket so we could experience the Harry Potter World in full. How were we going to do Universal Studios and Universal Islands of Adventure in one day? Was it all possible? Yes and No. It depends on a few things, which we’ll outline below. As we had visited Universal last year, we already had a good idea of what we wanted to see and do. This saved us a lot of time and even allowed us time to relax over lunch at the Hard Rock Café in Universal City Walk with friends. It meant that we had a very relaxed and enjoyable time at Universal. 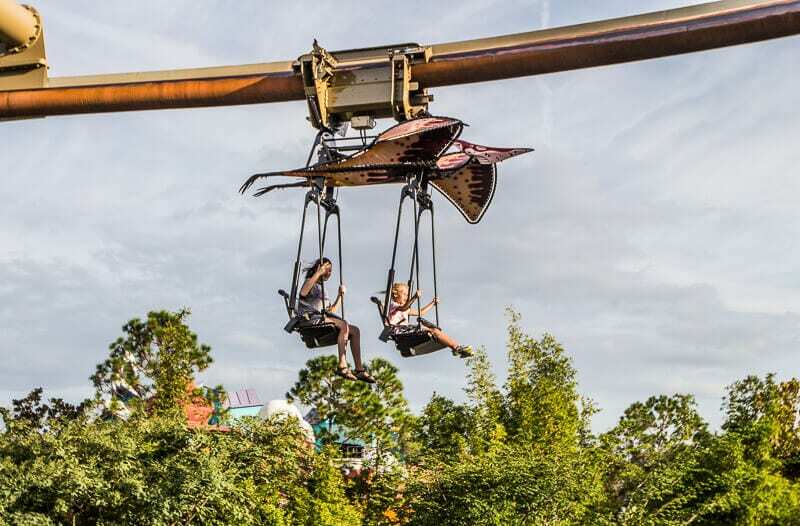 What kind of experience are you looking for at the Universal Studios Orlando? Do you want a lot of shows, characters, and simulator rides? If so, Universal Studios may be the best choice for you. Do you want more thrill rides and water rides? Then Islands of Adventure will be for you. Do you just want a day of relaxing by the water and doing a few rides? 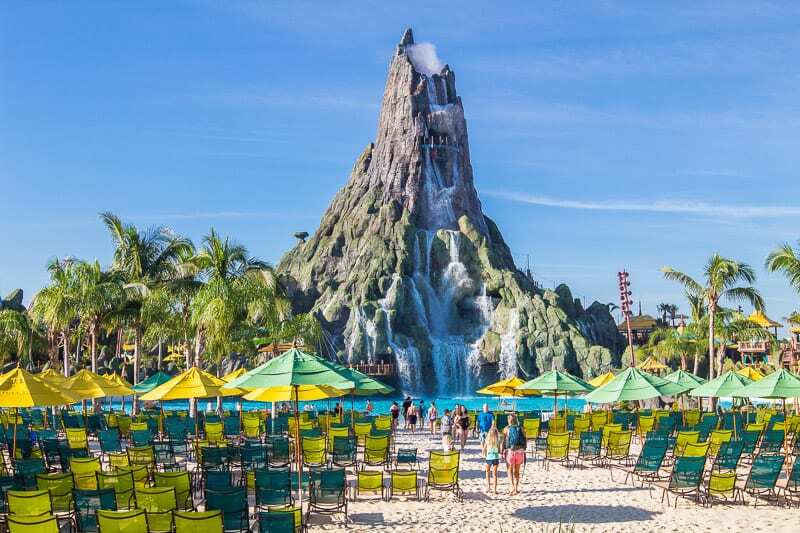 Then Volcano Bay water park will be the best Universal Orlando theme park to visit. 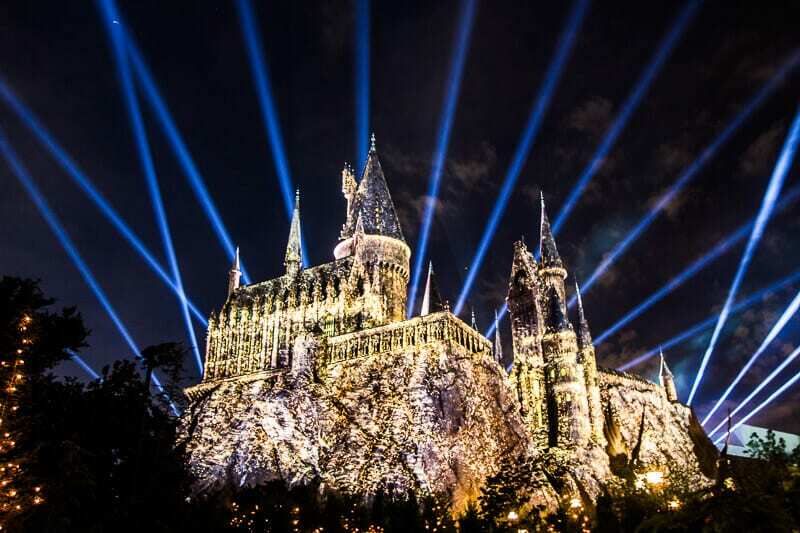 Choosing the right time to visit Universal Studios Orlando or Islands of Adventure will save you a lot of time, which makes doing the theme park in one day easier. We’ve visited the theme parks in Florida twice now in November and have been very fortunate to have low crowds. On this recent visit, we went the day after Halloween, which I highly recommend. The crowds were so low and the weather still warm! It event meant an Express Pass (fast pass) was not necessary! Our longest wait was 10 minutes and we were able to ride our favorite rides multiple times. Some of our party even went home before closing because we had done everything! It’s quite easy to get all your must dos done at Universal if you don’t have high crowds. If you do go during the low season like this then I recommend the next tip. 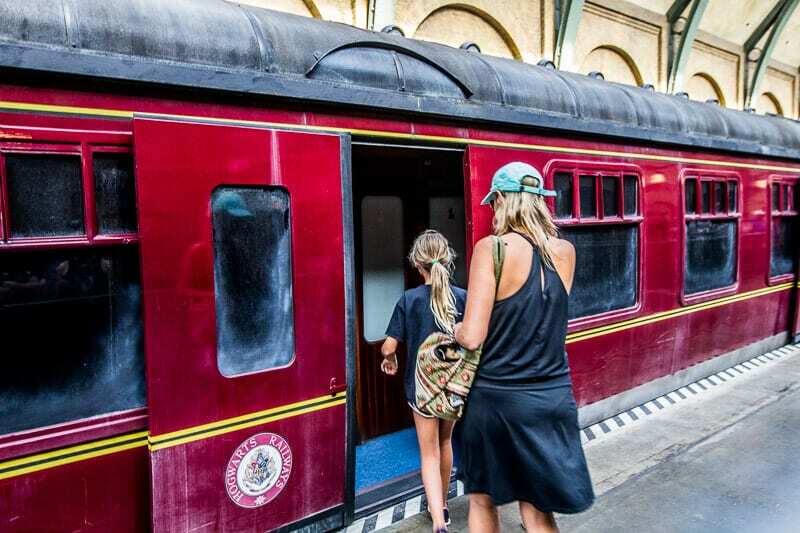 Boarding Hogwarts Express which takes you between the two parks! A Park Hopper is a ticket that allows you to hop from park to park and move between Universal Studios and Islands of Adventure. You can even get a three park hopper, so you can also go to Universal’s Volcano Bay. To be honest, I think doing three parks in one day would be very challenging. The best reason to purchase a park hopper is because it allows you to see the entire Wizarding World of Harry Potter as this world is split in two. The Diagon Alley section is in Universal Studios, and the Hogsmeade/Hogwarts Castle is in the Islands of Adventure theme park. The good news is butterbeer can be purchased in both. Diagon Alley is my favorite section of the Wizarding World of Harry Potter. Diagon Alley is not in Universal Studios Hollywood where we visited just a few weeks before. We wanted the Park Hopper ticket so we could experience casting spells in Diagon Alley one more time. I wish they would create new Universal Orlando tickets that let you access just both sides of the Wizarding World of Harry Potter instead of having to pay for two parks if you only really want to visit one. 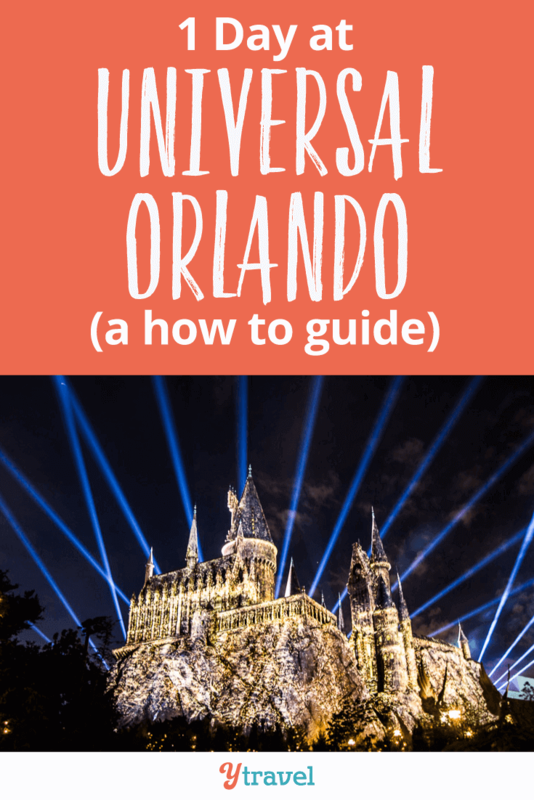 If you only have one day to spend at the Universal Orlando theme parks then I recommend staying at one of the Universal Orlando Resort hotels. The good news is there is a hotel to suit every budget. 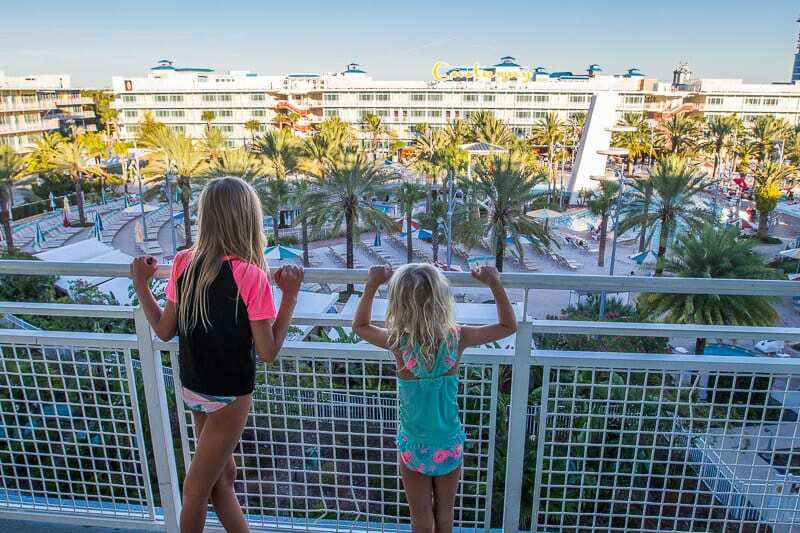 We stayed at the Cabana Bay Beach Hotel last year and it was reasonably affordable. You are located right near the theme parks, which makes it easier to get in. You get free shuttles to the parks and for some of the hotels you can even walk straight in. This means no expensive parking fees for you, which are about $22 a day. You get access to early park admission in the Universal theme parks. This will definitely help you see and do everything you want to in one day. The extra hour means nearly no lines on your favorite rides. I would head straight to The Wizarding World of Harry Potter as this tends to be the busier. Gringotts and The Forbidden Journey can be the busiest rides in Universal Orlando Resort. For some select Universal Hotels you get free Universal Express passes. Fast passes will be vital if you intend to do Universal in one day during the high season. So you might find some good savings by staying at one of the Universal hotels. It’s never too early for Butterbeer! Know the Universal Orlando opening hours, especially if you have a park hopper! Tackle one land at a time if you can to avoid wasting time walking back and forth. Be sure to have a quick and easy lunch. Don’t do a full serve restaurant if you only have one day at Universal. It will take up quite a bit of your time. If you have food allergies you can bring in your own food, which will make things so much more efficient and affordable. As we had the park hopper, we could go into Universal Studios at 8am, where there were virtually no crowds, and do Diagon Alley and ride Gringotts. And then head over to Islands of Adventure to meet with our friends, riding the Hogwarts Express to get there. As we had done Universal Studios before, and prefer Islands of Adventure, we didn’t do anything else in Universal Studios. However, we would have had plenty of time to fit in a few of our favorite rides over there. I regret not doing the Rip Ride Rockit one more time and not trying out the new Fast and Furious ride. 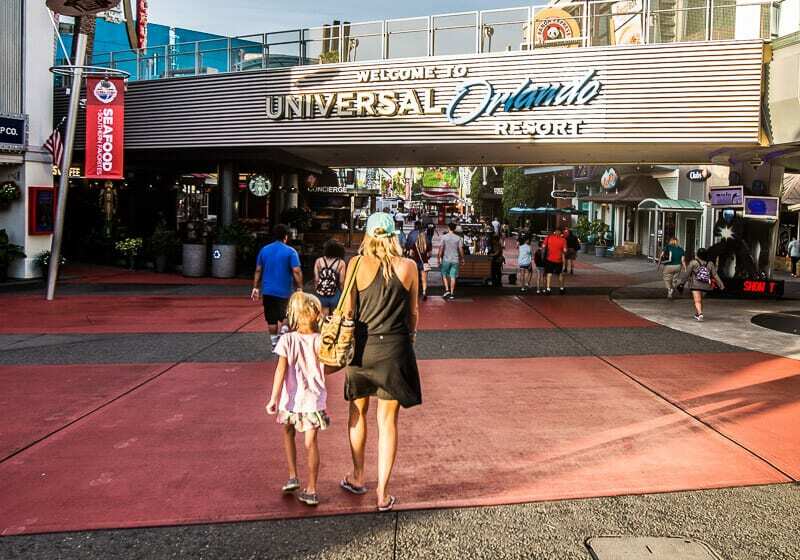 Yes, a Universal Express Pass will increase the cost of your trip to Universal Orlando Resort. But, if you saved for this long, and you are already investing a lot of time and money, I’d consider putting a little bit more into the cost of a fast pass. The last thing you want is your memories of your dream Universal vacation to be of you waiting and waiting and waiting in lines. A Universal Express Pass may turn a regular hour long wait into fifteen minutes. Just think of how many more rides you can experience by jumping the queue…legally. Universal Express passes start at $40. You can always upgrade your ticket to Express Passes once you are inside the park, that way you can first scope out what the crowds will be like in case they are really low and express passes are not so valuable. Many of the rides have the child swap area where one member of your family can wait with the little kids while the rest of your party rides. Once they are off the ride, you swap places and whoever rode can stay with the kids while the adult(s) who sat out get the opportunity to enjoy the ride. This is how you can save time and have more than one turn on your favorite ride. What Kind of Theme Park Rides and Shows Do You Like? One thing that makes doing the theme parks in one day in Orlando possible is that many of the rides are simulator rides, like the Simpsons ride and Spider Man. After a while these rides tend to be repetitive and cause motion sickness for me! So perhaps choose the one or two you most want to do and skip the rest. Knowing what rides and shows you like can help you plan better. You can use the Universal app to see what the ride wait times are, as well as any times for shows, or where your favorite characters may be. What are the Best Rides at Universal Orlando Resort? Continuing on from the previous question, it does depend on what you like? 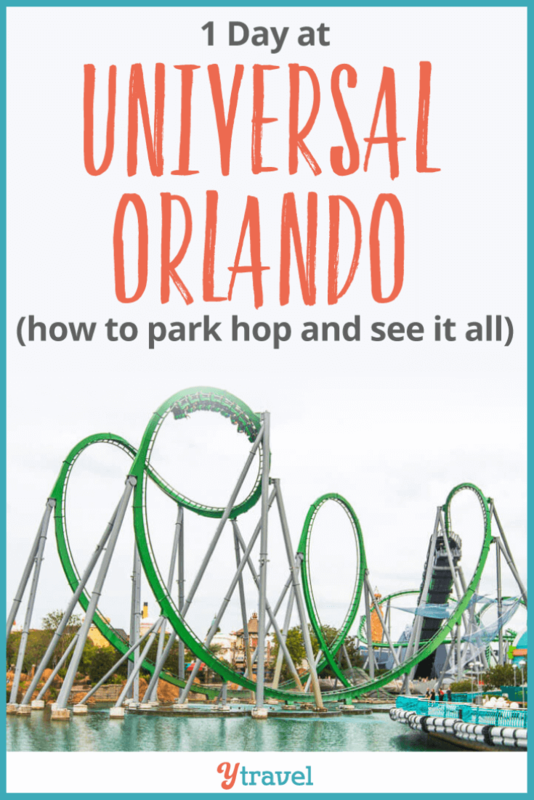 Here are my favorite rides I recommend you don’t miss at Universal Orlando Resort. These are the ones we do more than once. Harry Potter and The Forbidden Journey – lines will be long here, so make this one of your early morning stops. The Incredible Hulk Coaster– this is a fast moving ride, so lines generally move quickly. You can save this for the busy times. This is my favorite roller coaster ever! Doctor Doom’s Fearfall – This one can be a slow loading ride, so you might want to do this early (or later) when the lines are low. Popeye & Bluto’s Bilge-Rat Barges – River run ride lines often move quickly. This was one of the most fun river rides we’ve done. We got soaking wet and bumped around quite a bit. This ride is perfect for those hot days. 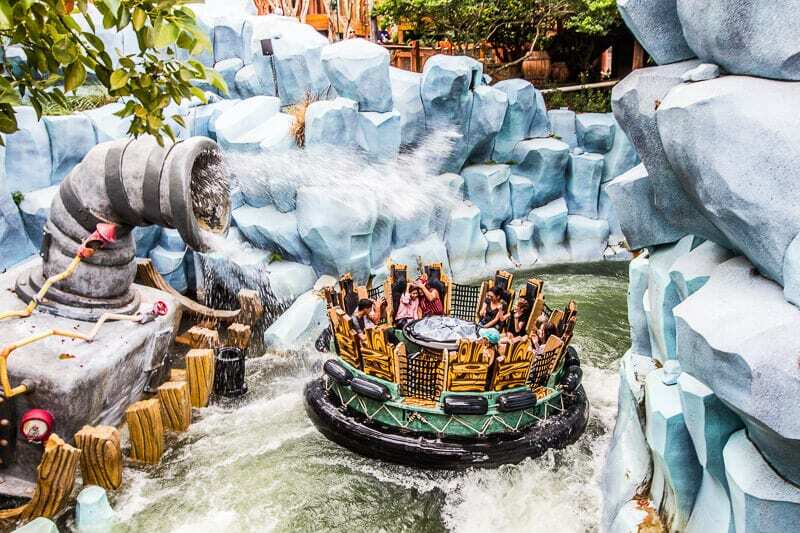 Jurassic Park River Adventure– again, can be a fast loading ride. The end surprise makes this ride quite fun. The High in the Sky Seuss Trolley Train – perfect for younger kids like our Savannah and those who are kids at heart. Colorful, rhythmic, relaxing and offering great views of the park. Harry Potter and the Escape from Gringotts – another popular ride with long loading time due to the pre-ride entertainment (just put me on the ride!!) So go here early as it’s popular. 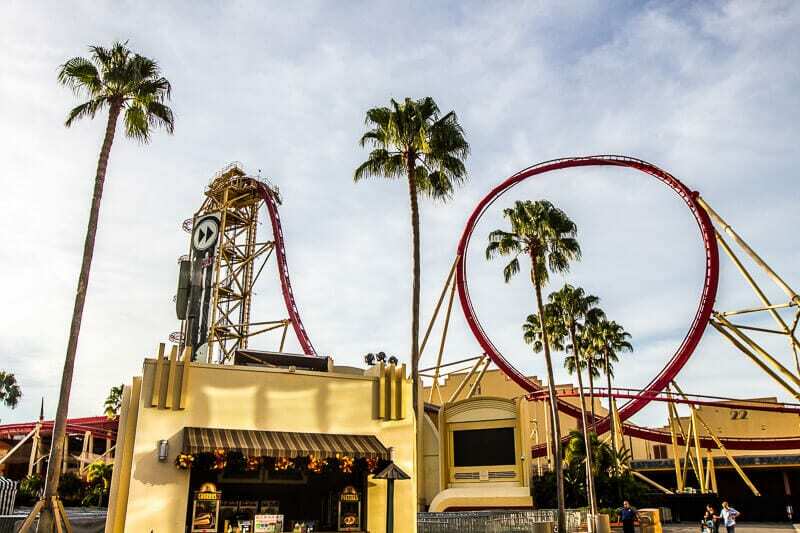 Hollywood Rip Ride Rockit – fast paced roller coaster like The Hulk so the line can move pretty fast. Don’t forget to choose your favorite music. Transformers the 3D ride– we didn’t do this ride at Universal Studios Orlando but did at Universal Studios Hollywood and liked it. It’s popular so time it right! Revenge of the Mummy – Always a fun roller coaster in the dark. Can be a busy ride, although lines move fast. Volcano Bay has a great ride reservation service that is available for free to all park ticket holders. You can time your rides and avoid queues. It makes for an effortless and relaxing day at Universal. 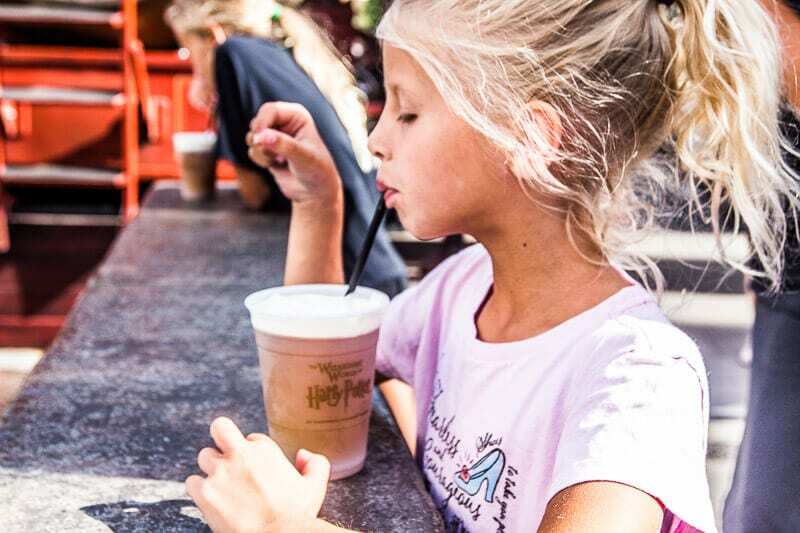 Don’t forget to drink lots of butterbeer and cast many spells with your interactive wands – I think these two things to do at Universal Flroida. Enjoy your one day at the Universal theme parks. I promise it will be worth it and your day will be filled with many lifelong memories. 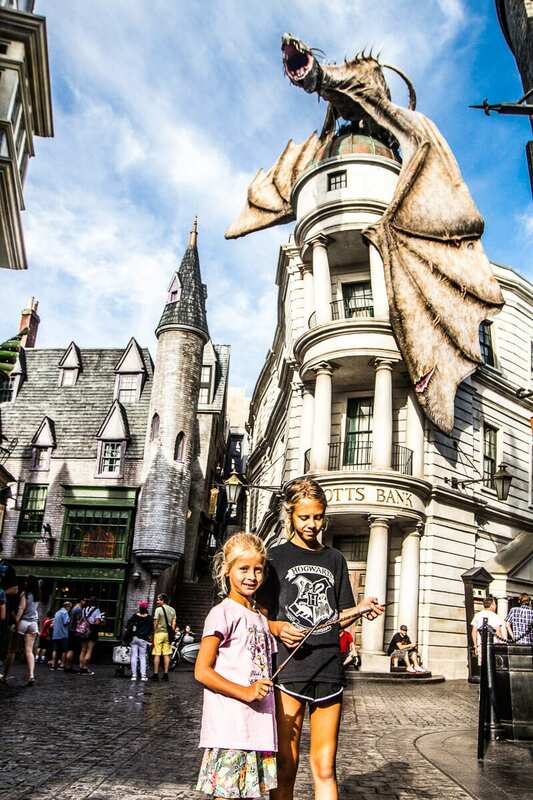 Which Universal Orlando theme park would you choose to do? What tickets have you bought, and do you have an annual pass? Please add any further Universal tips below!